Last week, the House of Representatives unanimously voted in favor of the 21st Century Cures Act. Yesterday, the bill sailed through the Senate with a vote of 94-5. All that remains is for President Obama to add his signature to the bill, which is expected to happen in the next few days. President Obama has already said he is happy to sign the new bill. The bill will provide funding for a number of initiatives that are intended to hasten the development of new cures and medical devices to treat cancer and other diseases. The bill makes more funds available for mental health treatment as well as for programs to tackle the growing problem of opioid abuse in the United States. $500 million per year will be made available for the latter to prevent new cases of opioid abuse and to fund treatment programs for addicts. The bill had originally called for changes to be made to the Health Insurance Portability and Accountability Act to improve data sharing for research purposes. By classifying research under healthcare operations, it would have been possible for the identifiable protected health information of patients to be shared with hundreds of thousands of covered entities – and potentially millions of business associates – without patient consent being required. Many privacy groups believed the HIPAA changes would lead to patients’ privacy being violated and the bill was vehemently opposed. Eventually, the HIPAA changes were dropped from the bill. Instead, the version of the bill that was passed by the Senate calls for the creation of a new working group that will report to the Department of Health and Human Services. The group will investigate potential uses and disclosures of patient health information for research purposes and will conduct “studies to obtain generalizable knowledge, while protecting individuals’ privacy rights.” In the short to medium term it is unlikely that any changes will be made to current legislation to improve health data sharing for research purposes. 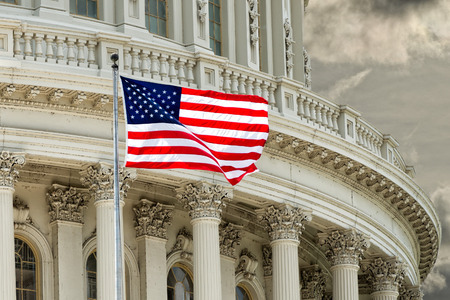 The 21st Century Cures Act does include some provisions aimed at improving data sharing, in particular to improve the sharing of mental health information. The bill has been praised by mental healthcare organizations and has been called the most significant piece of mental health legislation since the Mental Health Parity and Addiction Equity Act (MHPAEA), which was passed in 2008 to ensure equal coverage of treatment for mental illness and addiction as physical illnesses. The 21st Century Cures Act also strengthens current laws which ensure parity between mental and physical health. The bill will make grants available to increase the number of psychiatrists and psychologists across the country and funding will be increased for early intervention and assertive community treatment programs. The 21st Century Cures Act calls for the HHS’ Office for Civil Rights to issue new guidance for covered entities on allowable disclosures of mental health and substance abuse information HIPAA to clear up current confusion about how HIPAA applies to the sharing of mental health data. The bill also introduces penalties for organizations that either engage in information blocking or make it difficult for electronic health information to be shared with other entities. Civil monetary penalties of up to $1 million per violation will be possible when the bill is signed into law.